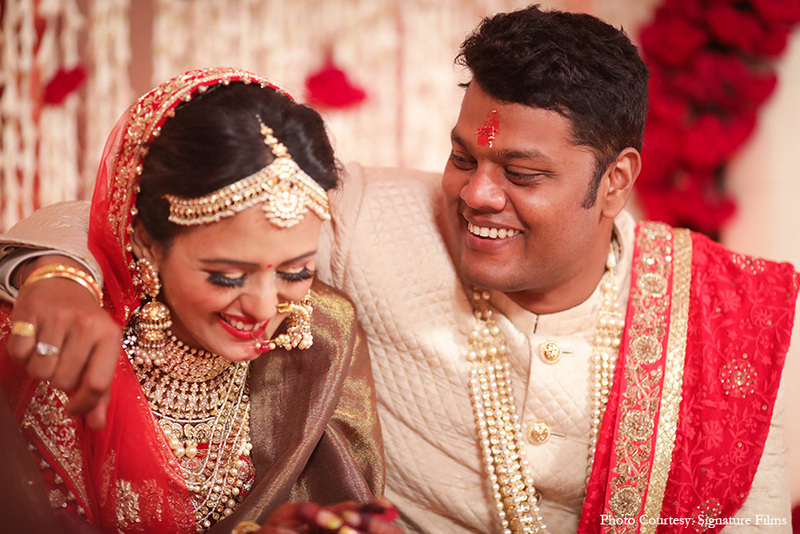 Avantika and Karan tied the knot in a grand celebration in the charming city of Hazaribagh which happens to be Karan’s hometown. 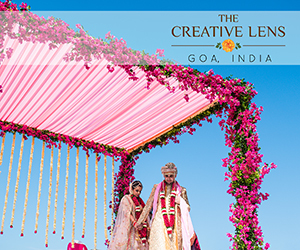 The scale of the wedding set many monumental milestones with respect to its grandeur and opulence. 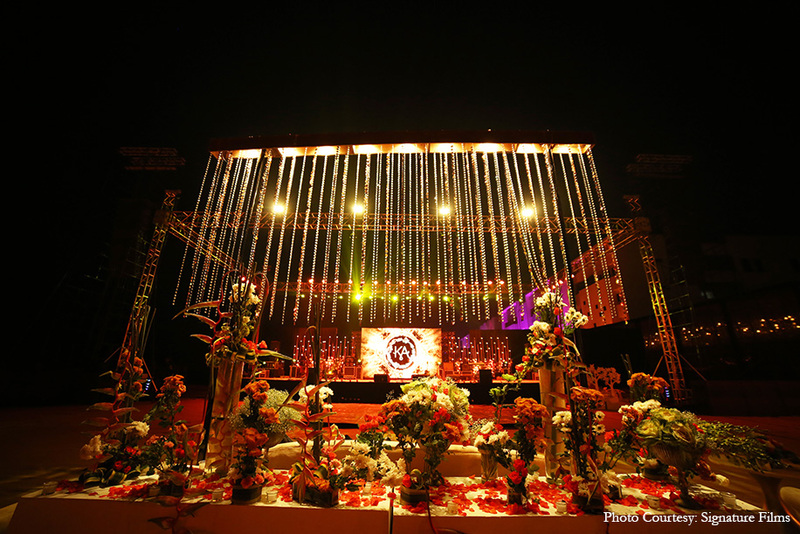 Planning and designing a wedding of this scale was an intimidating task but WeddingSutra Favorite – Swaaha WMC took up the challenge and delivered impeccable and impressive results. 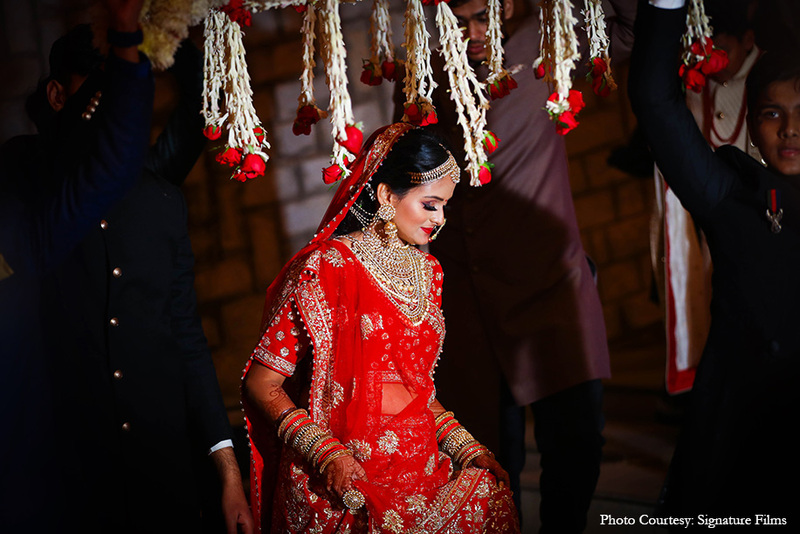 Known as the city of thousand gardens, Hazaribagh is where Avantika and Karan chose to host their opulent wedding festivities. 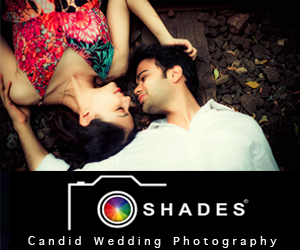 Since this was the first wedding in Karan’s family after a long time, it called for grand celebrations in his hometown. 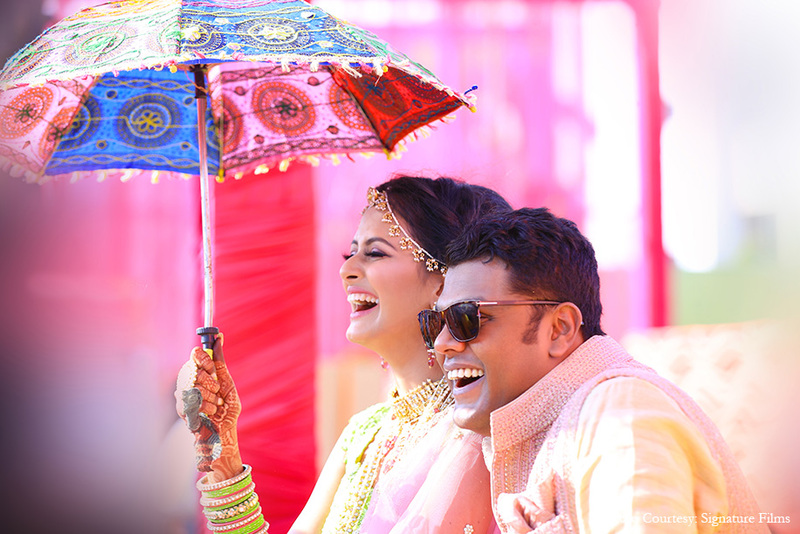 WeddingSutra Favorite, Swaaha WMC had impressed Avantika and Karan with the design and execution of their three-day engagement celebrations at Aamby Valley, Maharashtra. 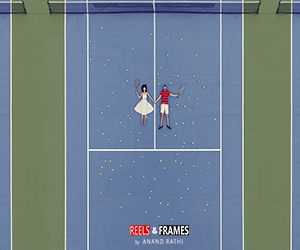 That is why they were entrusted with planning the wedding as well. 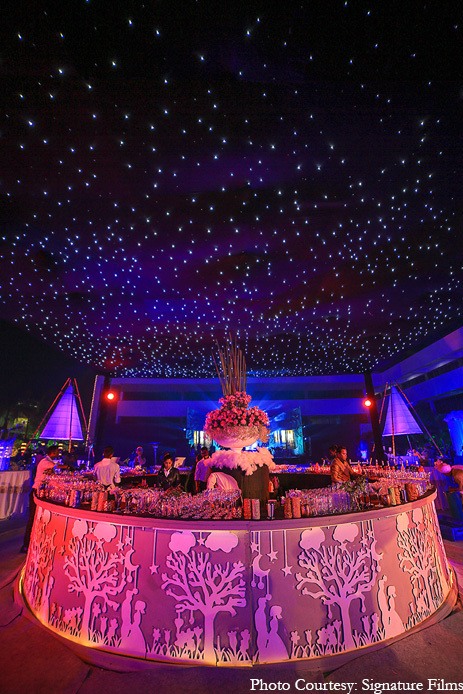 Swaaha WMC’s team began conceptualizing for the glitzy wedding nine months in advance of the big day. Their process included multiple recces to Hazaribagh and meticulous research. 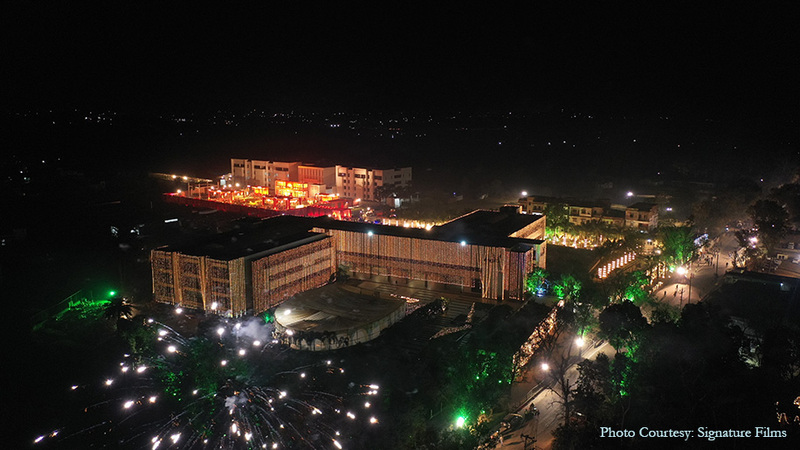 A team of more than 1200 professionals were employed to bring together the four-day long wedding which saw a jaw-dropping number of guests, estimated to be around 60,000, attending the celebrations. 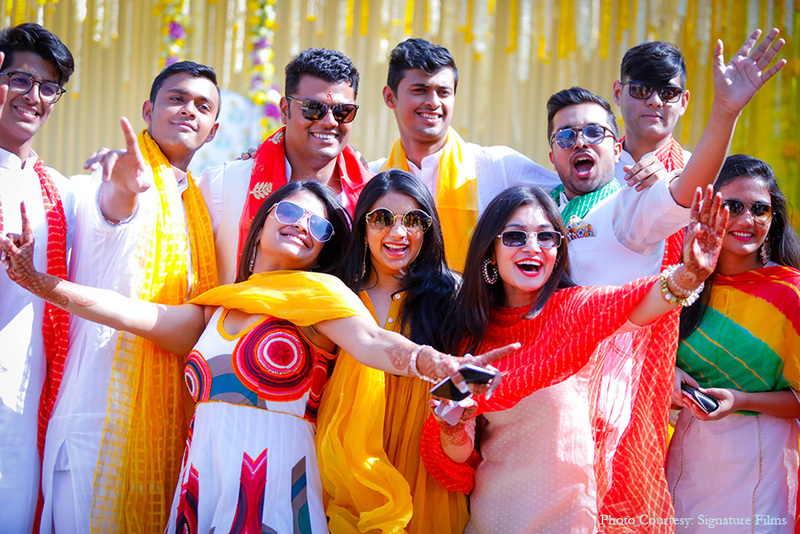 The wedding festivities began with an intimate haldi ceremony which was attended by the couple’s family members and friends. 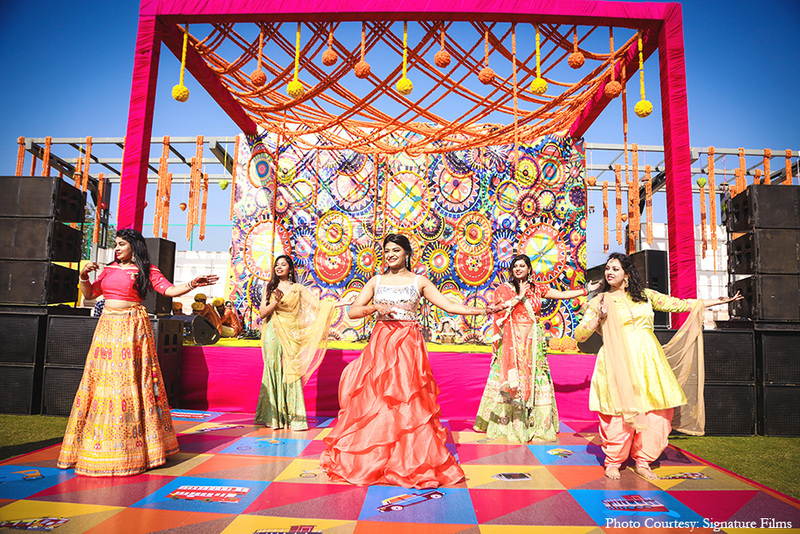 The grounds of a school run by the influential Jaiswal family (groom’s family) were revamped to create different set-ups for various functions. 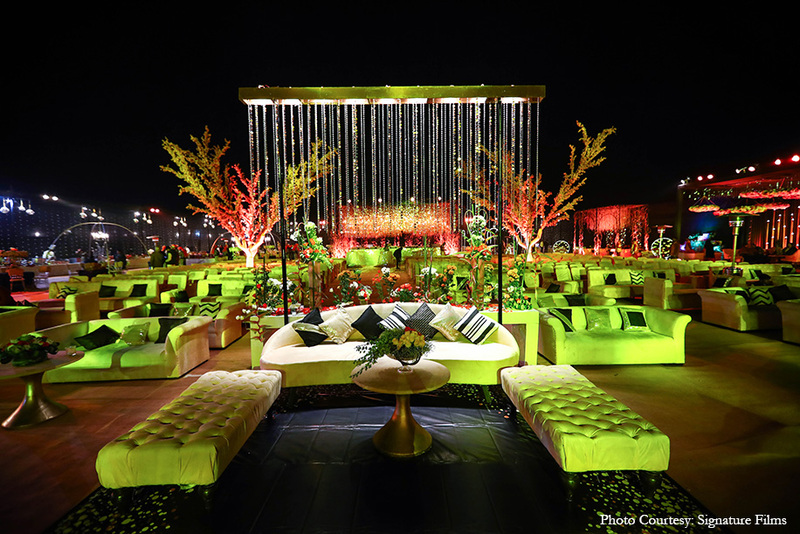 For the haldi, rows and rows of yellow and white flowers were used to brighten up the venue as the pre-wedding celebrations officially took-off. 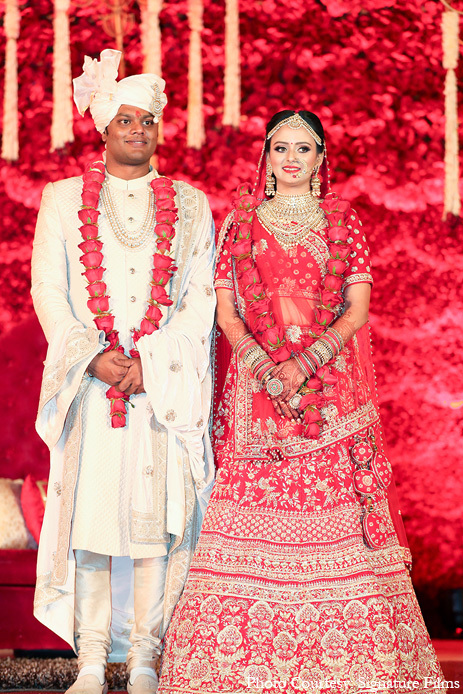 The traditional haldi ceremony was followed by a dreamy cocktail celebration. 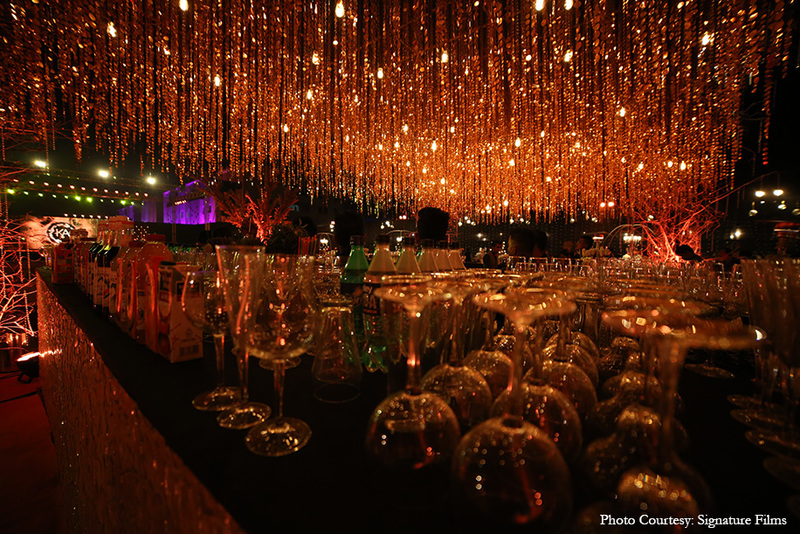 The decor matched the cool vibe of the chilly winter night. 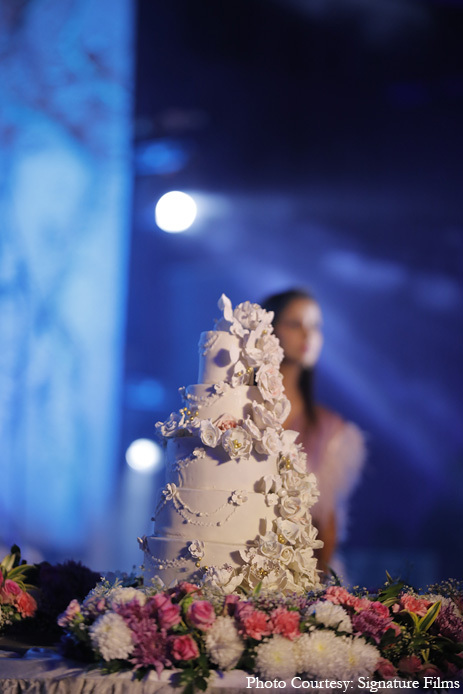 Floral arrangements added to the gorgeous decor, and even the delectable five-tiered cake was decorated with floral accents. 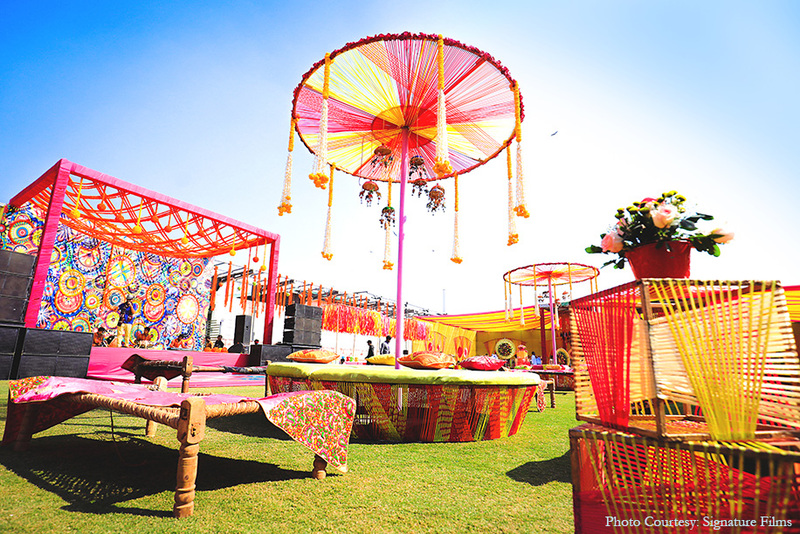 The mehndi ceremony was a colorful affair with vivid seating arrangements and vibrant umbrellas. 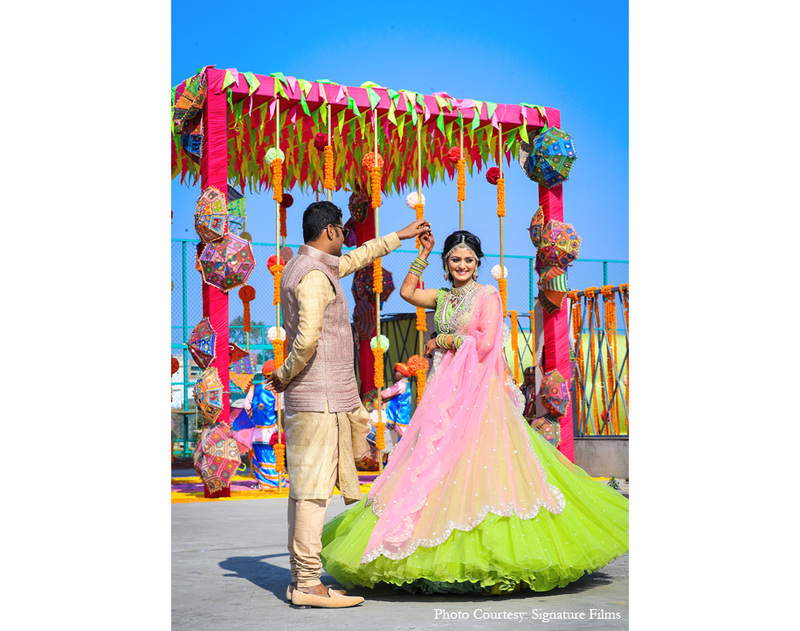 Traditional folk artists performed at the mehndi ceremony, and the couple’s friends and family members also impressed all with their moves to the hit music tracks. 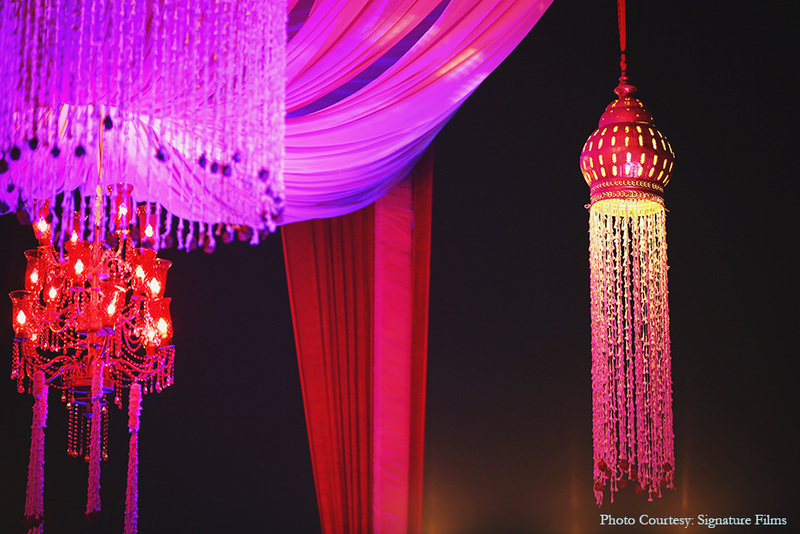 The vibrant mehndi ceremony gave way to an elegant yet glamorous sangeet with pretty lights and glittering strips dangling from the ceiling. 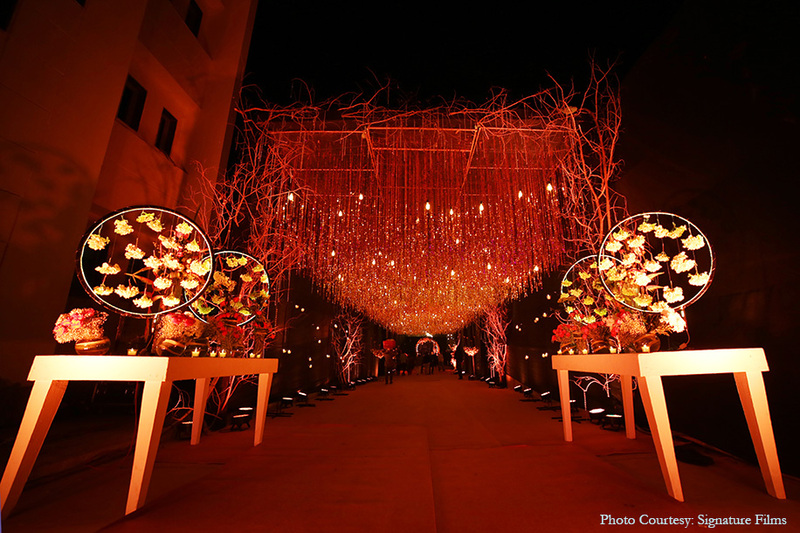 Hundreds of fluorescent light bulbs lit up the pathway to the central setup. Avantika, Karan, and their guests had a marvellous time watching the impressive dance performances by members of the couple’s entourage. 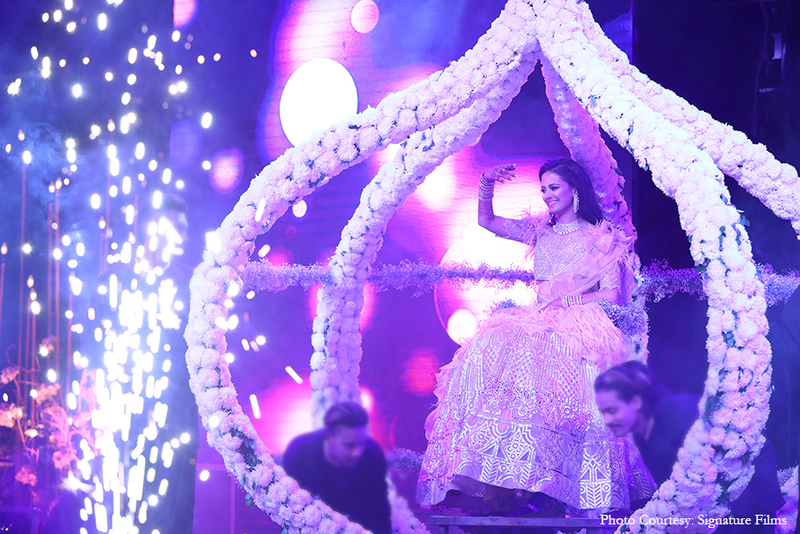 The highlight of the evening, however, was the bride’s dance using a floral carriage as the prop which left everyone cheering. 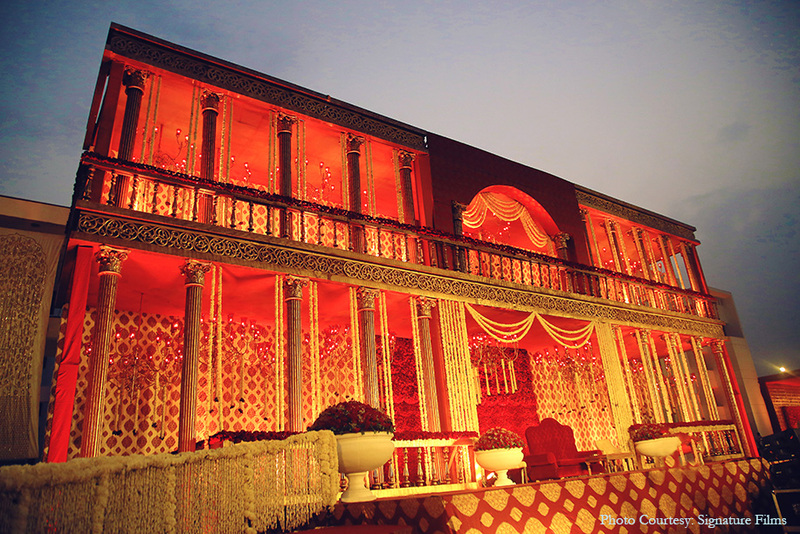 The baraat caught everyone’s attention for its grandeur and sheer numbers! It was also the longest baraat marked in the history of Hazaribagh. 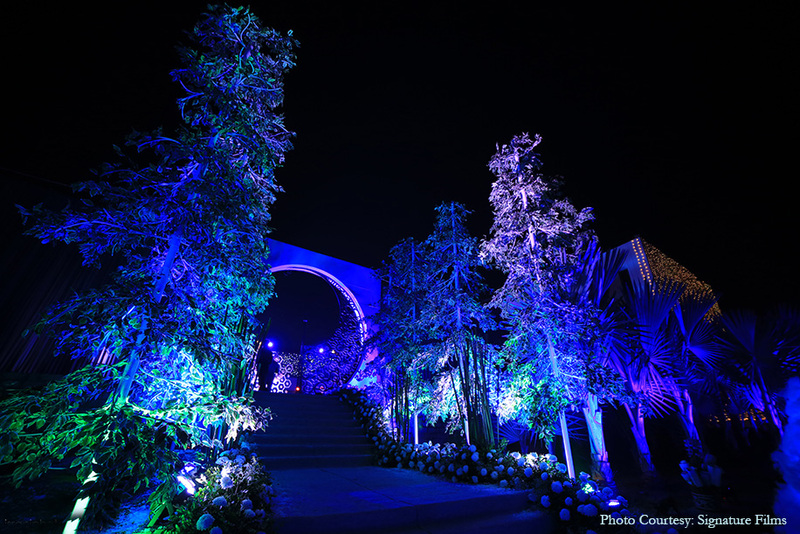 The set-up had large installations with an overhead tunnel at the entrance that left everyone impressed with its opulence. 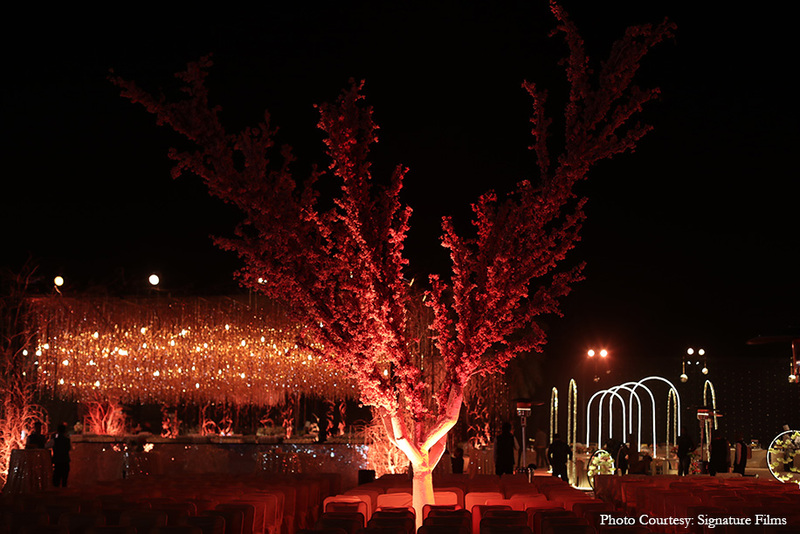 The wedding decor was resplendent with festive shades of red. 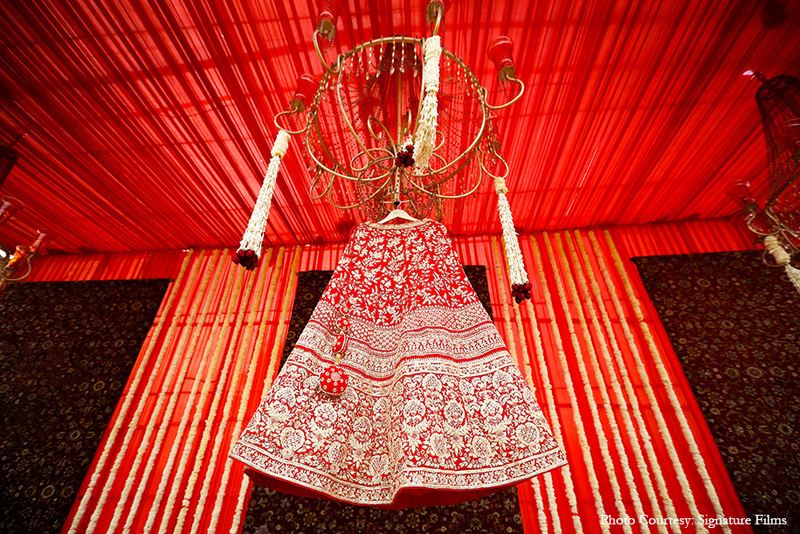 Drapes embossed with Hindu mantras and elaborate flower arrangements brought all the more attention to the magnificent stage which was decked with huge chandeliers. 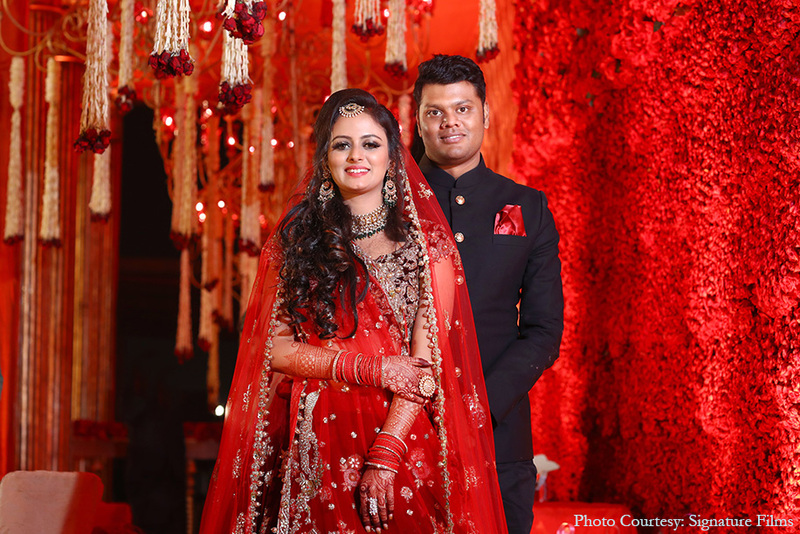 The bride wore a bright red lehenga with layered traditional jewellery while the groom donned a complementing cream colored sherwani for the wedding ceremony. The elaborate guestlist of over 60,000 people included quite a few influential personalities, including the honorable CM of Jharkhand, Mr. Raghubar Das who blessed the newlyweds. 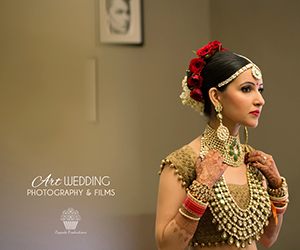 Wedding Planner: Swaaha Wedding Management Co. 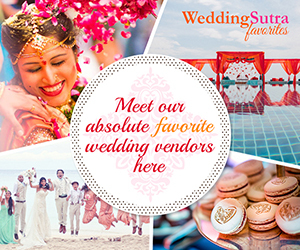 This entry was posted on Monday, April 15th, 2019 at 5:00 pm	and is filed under Destination Weddings, Wedding Planning. You can follow any responses to this entry through the RSS 2.0 feed. Both comments and pings are currently closed.